Going Green @ Your Library had a post on February 3 about The Sierra Club and Clorox teaming up to create environmentally friendly cleaning products titled, Green Works. For me, that name is too closely associated to the non-lethal prank device that my friends and I would leave in neighbors mailboxes. Apparently, there weren’t many fourteen year old boys in the focus groups. It is great to have an affordable alternative to traditional cleaning products, but I’m curious if this would be applicable for academic libraries or other libraries that have a great deal of bureaucracy. Large state university libraries would find it very difficult to convince the provost that they should suspend their contract with whatever large chemical supply company they already deal with and begin to buy earth friendly products. I mention this article, not because I advocate libraries using environmentally friendly products, but also because it reminded me that Clorox recently acquired Burt’s Bees. 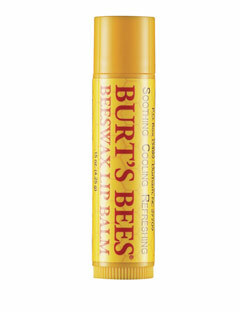 I have been a dedicated consumer of Burt’s Bees for a few years, especially the lip balm, and enjoyed purchasing from a privately owned relatively small company who set standards for natural care products. I’ve never been a fan of takeovers, and this one hit extra hard. My fiance’ and I are now trying to find a new company to purchase natural products from. If you know of any good ones please let me know.